I hope you all had a lovely weekend! John and I started our Sunday by grabbing a quick coffee downtown and sat outside to enjoy the beautiful weather. It was a little overcast and only about 75 degrees, which was absolutely perfect. The cool, morning breeze made me so ready for fall! This is probably one of my favorite outfits for transitioning into autumn. I mentioned last week how florals seem to slowly disappear once Spring and Summer come to an end, but these retro style pants are perfect for keeping them around. Gorgeous look! 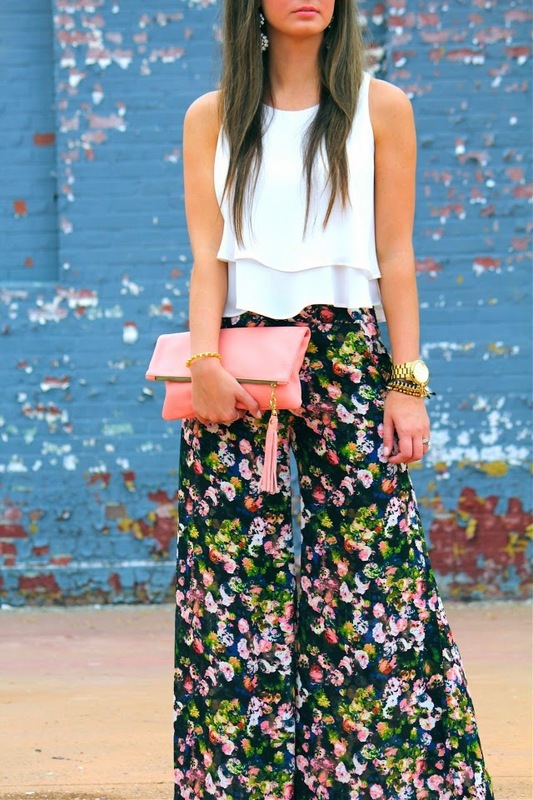 I love how you are transitioning floral! The color on these pants are perfect for fall! Love this look! Gorgeous photos too! 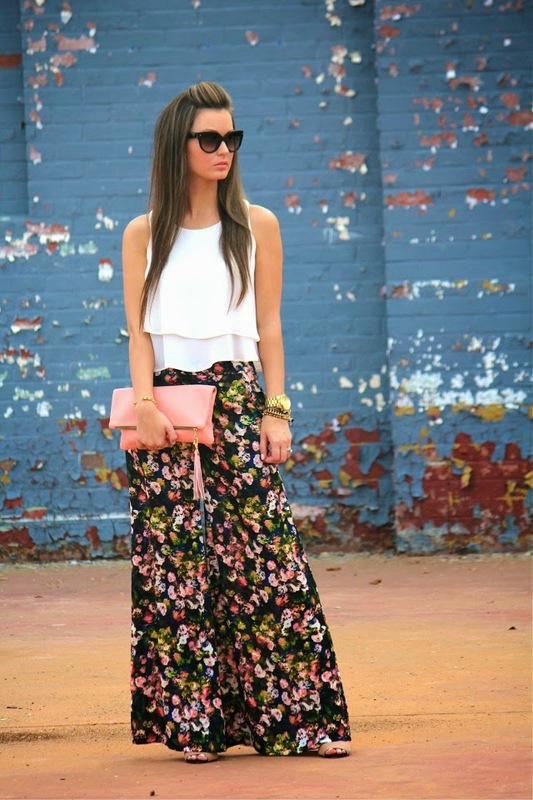 Love how you are transitioning florals to fall! Those pants are darling and they look so comfortable. I especially love that blouse and it looks incredibly versatile. I LOVE how you styled this outfit! Those pants are amazing and you pulled everything together so nicely! I LOVE it! You look beautiful!!! Love all your accessories, such a cute outfit!! What a great look. My favorite part is the clutch. Such a pretty color and it looks soft people leather. I am SO in love with these pants! They are "show me your mumu" without the outrageous price tag! Clicked to order them, and I'm pretty sure I need the M which is sold out! So sad! But thanks for sharing! !